Model EPQ-113+ is a wideband, 5 to 11 GHz, 90º hybrid. It splits an input signal into two output signals with quadrature phase shift between them. It provides low loss, wideband in a small layout size (4x4mm), and handles high power with good VSWR. Its 3.7º and 0.8 dB unbalance make this 90º hybrid applicable for use in higher level integrated components, such as image reject mixers, single sideband modulators, phase shifters, variable attenuators, and balance amplifiers. 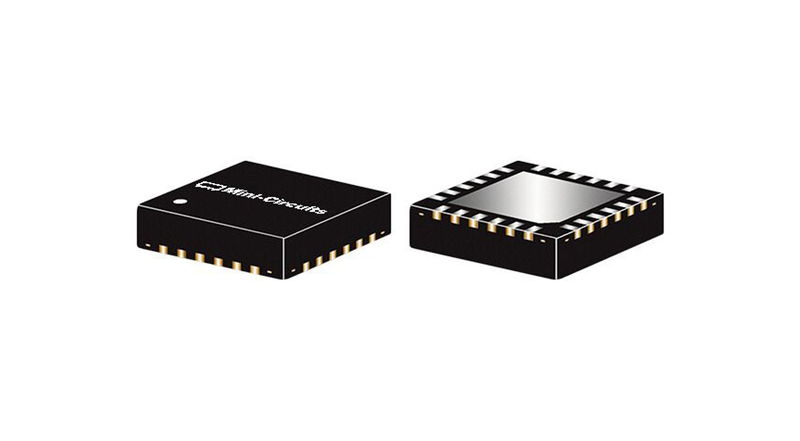 Capable of operating up to 32 dBm, the MMIC structure of EPQ-113+ makes this 90º hybrid a robust, rugged product that can be used effectively in either the transmit or receive paths.